Which Way Are Political Winds Blowing for NASA? As high-minded and visionary as the narrative of space exploration can be, real ventures into outer space are heavily grounded in financial, technical and political reality. With a new administration in the White House that has been characterized by game-changing executive orders and unpredictable pivots on foreign and domestic policy, what may be in store for NASA's mission of space exploration? First, some history. What ultimately got humans to the moon in the late 1960's and early 1970's was not some lofty goal of raising humanity above a mire of terrestrial problems, but a struggle for dominance between global superpowers, and a president—John F. Kennedy—setting us on that path. The Apollo Program resulted in twelve men landing on the moon, but it was eventually cancelled—among several reasons, because it had successfully accomplished the primary political objective of beating the Soviet Union to a moon landing. George W. Bush's administration set its sights on a constellation of space achievements—the "Constellation" Program—whose goals included the completion of the International Space Station, a return of human astronauts to the moon by no later than 2020, and ultimately, a crewed flight to Mars. 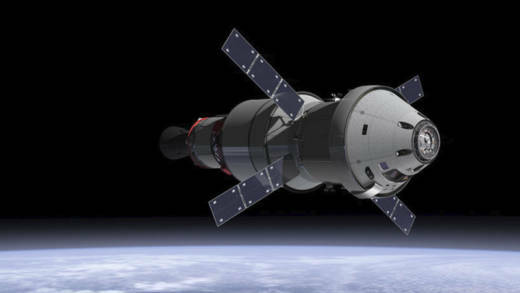 When Barack Obama took office, he cancelled most of his predecessor's Constellation program, though elements of it, like the Orion spacecraft and a new heavy-lift launch vehicle, were retained. Along with this hardware, new plans for crewed missions to an asteroid (in 2025) and a Mars orbital mission (2030) were put into place. Which Direction Will NASA Fly Now? So, since the winds of space exploration—at least with respect to the U.S. and NASA—seem to shift reliably with the changing of the guard in Washington D.C., what might a Trump presidency mean for our ongoing exploration of the final frontier? 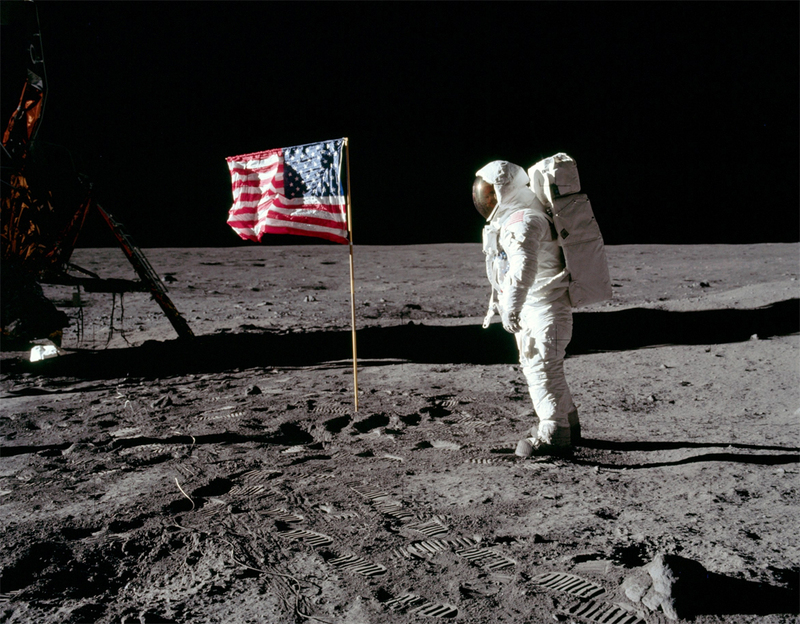 It's a question without a solid answer yet—particularly in the absence of a John F. Kennedy-style "Man on the Moon in less than a decade" vision for NASA. So far since President Trump took office, NASA has not received any new marching orders, or even a new NASA Administrator—although the Trump NASA "landing team" has been setting up camp to start legwork for the transition. Over the past year leading up to the November elections, then-candidate Trump said variously of NASA: that it was one of the most important agencies in the United States government and should remain so; that NASA should be focused on deep-space activities, and that Earth-centric work is best handled by other agencies; and that he wants to free NASA from serving as a logistics agency for low-Earth-orbit activity and refocus its mission on space exploration. Another of Trump's pre-election comments pertaining to NASA was that the government's space policy should be coordinated to determine where private sector solutions could take the lead, and do so without government investment. Recent years have seen a rise in the involvement of privately-held companies in the traditionally public realm of space exploration, both in terms of partnerships between government and the private sector and through independent business ventures . The $10 million Ansari X Prize competition in 2004 challenged non-government organizations around the world to develop space-faring technology. "SpaceShipOne," built by Scaled Composites, won the prize that year. Later, Scaled Composites entered into a joint venture with the Virgin Group toward taking passengers into space under the name Virgin Galactic. 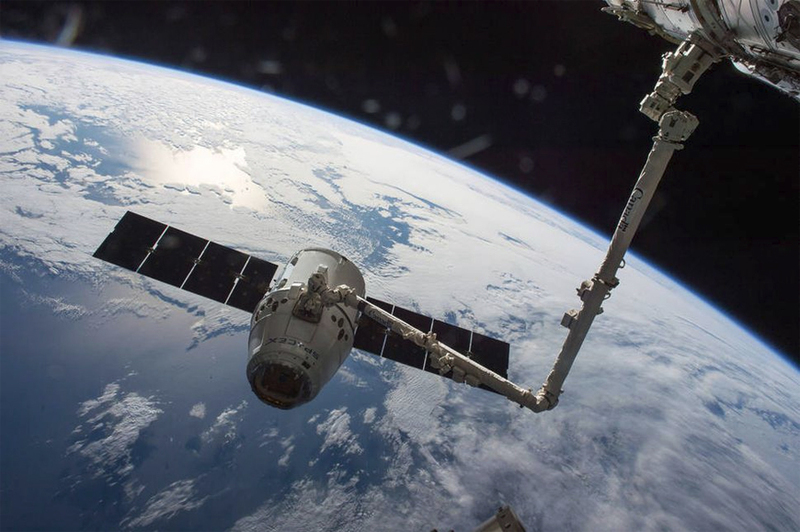 Since the retirement of NASA's Space Shuttle fleet, some of the work of supplying of the International Space Station has been carried out by the "Dragon" spacecraft and the Falcon 9 launch vehicle, both produced by Elon Musk's SpaceX corporation. 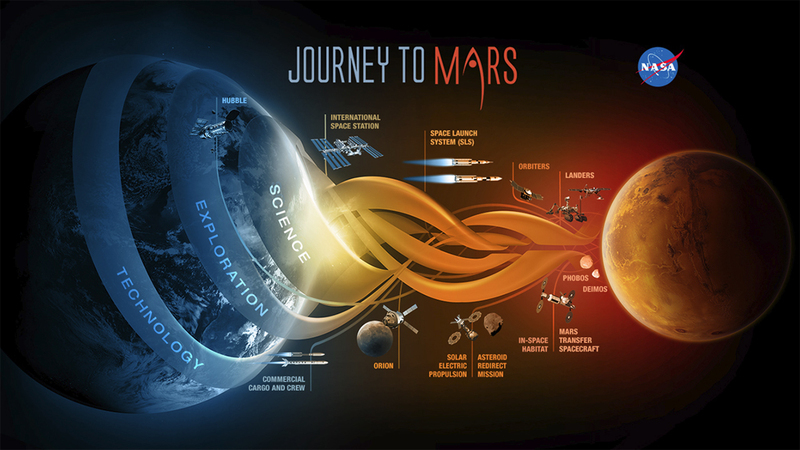 Now the media is abuzz over Elon Musk's intrepid goals for SpaceX to send humans to Mars by as early as 2024, and ultimately to colonize it. Elon Musk was recently named to President Trump's business Advisory Forum. Whatever vision the Trump administration has in mind for NASA's direction in space exploration, it seems likely that the involvement of private business in the endeavor will continue to grow.